Call of Duty: Black Ops IIII opens at 228,775 retail sales. 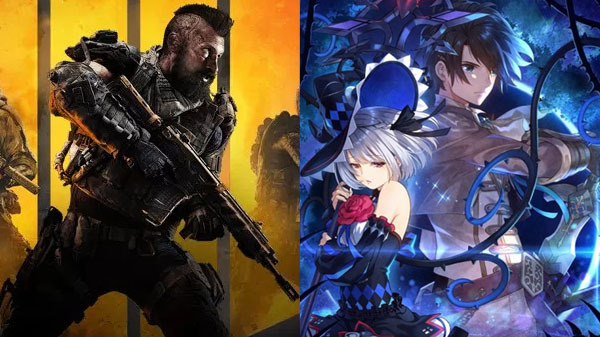 The PlayStation 4 version of Call of Duty: Black Ops IIII opened at 228,775 retail sales in Japan last week, the latest Media Create sales figures reveal. To compare previous Call of Duty offerings, Call of Duty: WWII opened in 2017 at 168,234 retail sales on PlayStation 4, Call of Duty: Infinite Warfare in 2016 at 105,764 sales on PlayStation 4, and Call of Duty: Black Ops III in 2015 at 143,817 sales on PlayStation 4 and 20,899 sales on PlayStation 3. Also new this week, Compile Heart’s Varnir of the Dragon Star: Ecdysis of the Dragon for PlayStation 4 opened at 8,652 retail sales. On the hardware side, Switch sold 44,070 units, the PlayStation 4 family sold 25,472 units, and the 3DS family sold 6,946 units.